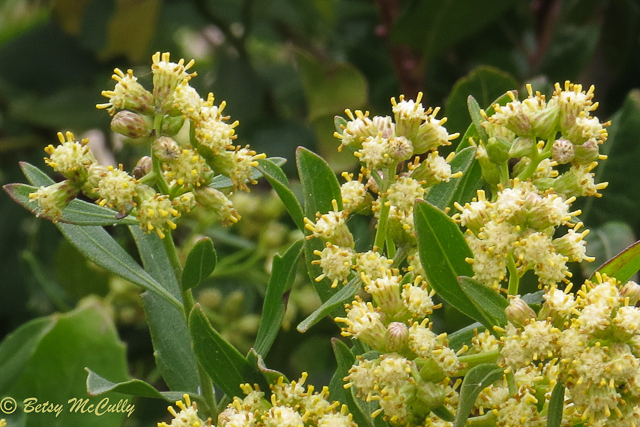 Groundsel tree (Baccharis halimifolia). Asteraceae family. Also called Eastern False Willow. Shrub. Coastal marshes. Long Island and upstate. Napeague, Long Island, 2018. Photo of male flowers.